Summers are approaching fast and you must be planning to pack your bags for a relaxing vacation trip. How about trying a hilly area this time to make the vacation a thrilling experience? There’s nothing more exciting than spending some time in the serene and calm environment among the mountains with your family. Thanks to the Mountain Cabin Rentals that makes your accommodation among the mountains more comfortable and memorable. While enjoying some private space with your family, the breathtaking surroundings can make you fall in love with these mountains. Before you make up your mind, glance down the most astonishing vacation spots to enjoy the scorching summers amidst the rocky hills. What a perfect vacation getaway! Serene environment, long hiking tracks, lots of deer, breathtaking waterfalls and tubing in summers! This spot has everything you could dream of. The world’s most famous Blue Ridge mountain cabin rentals are found in Georgia. You will be dazzled to select one for your family from a never-ending range of cabin rentals. Some of these mountain cabins are luxurious enough to give you everything inside the cabin. If you want to cuddle in the soft and cozy bed and spend time enjoying the scenic beauty, such cabins are designed for you. But the environment outside these cabins is exciting enough to take you out of your bed. While your kids enjoy horse riding or boating, you can still refresh yourself by fishing in the lakes around the mountains. One of the world’s most scenic mountainous spot, Colorado is a never miss kind of opportunity for adventurous people. From hiking on mountains to an aerial rope course at the Open Air Adventure Park, the exposure to thrill and adventure is unlimited. The mountain cabin rentals in this area are also comfortable, lavish in services and quite economical too. Visitors in these cabins always admire the luxurious services including a sauna, big kitchen, internet services, TV and much more. More information about these cabin rentals is subject to your personal visit for a vacation! Who doesn’t wish to spend summers in the Great Smoky Mountains? Pigeon Forge is the mountain area surrounded by the Great Smoky Mountains in eastern Tennessee. This is one of the best vacation getaways where you can enjoy camping in thick mountain forests. A number of vacation rentals in the mountains make the experience memorable for your entire family. These cabin rentals offer seclusion, privacy, scenic views, warm and cozy environment. Some of these mountain cabins are perfect for newlywed couples with their majestic and romantic environment inside the cabin. So if you are planning a honeymoon trip, Pigeon Forge is worth a try! If Tennessee is going to be your vacation spot this year, trying Sevierville is another of an option. It is another gem in the Great Smoky Mountains. 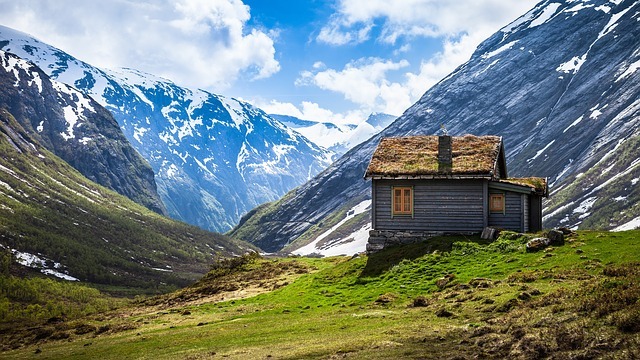 Nestled in the mountains all around, the cabin rentals let you relax and feel refreshed. Apart from the typical outdoor activities, this spot is famous for the Forbidden Caverns. Tennessee has the most number of caves in its mountains. The tour guides let you explore the underworld of rocky crevices and streams. This vacation getaway has everything to take you to ecstasy! Last but not the least on our list is the Hocking Hills in Ohio. Hiking, canoeing and zip lining are few of the activities just to start with. The adventurous activities coupled with the beautiful surroundings make it a perfect getaway for all types of travelers. The mountain cabin rentals here offer multiple indoor as well as outdoor activities that will keep you busy in having great fun throughout your vacation span. Vacations are a perfect time to strengthen the family bond. Escape from the busy schedule and indulging in fun activities bring all members closer to each other. The mountain cabin rentals on some of the above mentioned best vacation getaways have everything to make the family vacation trip the most memorable one.